Are you Making Tax Digital for VAT compliant? Need Microsoft Dynamics GP support? We’re m-hance. We’re a team brought together through a desire to help businesses achieve their goals. We think that’s really important. An investment in business management software should demonstrate clear results. At m-hance we’ve helped all sorts of businesses to achieve their goals to increase revenue, grow their margins, retain customers and attract new ones through Microsoft Dynamics. We do that by providing a complete end-to-end service. Apart from maximising business performance you’ll have peace of mind knowing you can continue to rely on our support whenever you need it. Get going with Microsoft’s cloud business wide software. No upfront investments, no hardware, just real-time insight into your business performance any time. See how Microsoft Dynamics 365 can streamline your organisation. 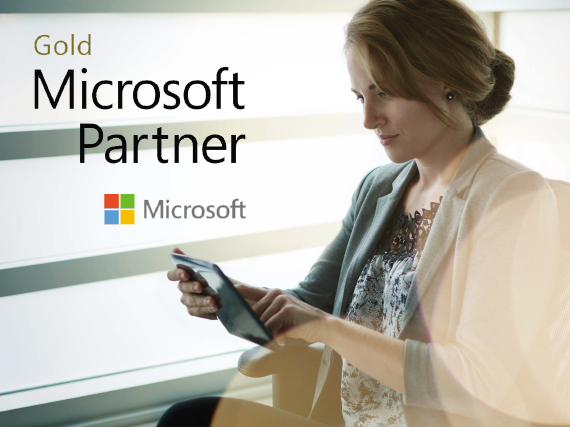 Whether you’re looking for a core financials package, or a true ERP business management suite, we’re passionate about the results that you could achieve with an investment in Microsoft Dynamics GP. See how Microsoft Dynamics GP can be applied to different sectors and industries. "With our CRM system staff can retrieve KPI data in minutes instead of days, resulting in a 25% increase in staff productivity." "Sport 365 integrates with our other systems, things are much better now than they were with our previous CRM system." "m-hance's statements were backed-up by clear, demonstrable evidence supported by a knowledgeable team with excellent references in the not-for-profit sector." "m-hance proved they had the best understanding of our needs and a rapport quickly established between us." Solent Mind turn to Microsoft Dynamics 365 and m-hance to simplify reporting processes. After consulting with m-hance, Solent Mind chose to implement Microsoft Dynamics 365 to connect over 200 members of staff across 20+ locations and improve its service to clients. Wanting to improve the way they engage with supporters, Wigan Warriors turned to m-hance to see how we could help. Our solution, Sport 365, also integrates with their ticketing and access control systems to provide the Wigan Warriors’ management team with a visual dashboard that answers to all their questions. Oxfam Ireland improve supporter engagement and Gift Aid reporting with NfP 365. Following a competitive tendering process, Oxfam Ireland selected a tailored Microsoft Dynamics CRM solution from m-hance due to its proven integration capabilities, ease of use and reputation within the not-for-profit sector. Sir Robert McAlpine chose Build 365 by m-hance to improve project visibility. Sir Robert McAlpine has accumulated a wealth of experience in the construction and civil engineering industries following the company’s formation in 1869. They moved away from bespoke CRM systems and found Build 365 by m-hance to improve project tracking and visibility. Ready for a guided tour?